It is the most visited monument in the world with a paid entrance. It is the symbol of Paris and we could almost say that of all France. Admired and vilified, the Eiffel Tower has been arousing emotions to everyone who gets near it. I call her The Lady, because of its stateliness, its elegance, fortitude and vigor in the face of so many attacks, because its everlasting maternal and selfless welcome. It is one of the two world monuments that have caused quite an impression on me (the Taj Mahal comes on top) and in my still young life I have climbed twenty or so times, so far. But there is a small detail that have always annoyed me, a fact so little known that even some Parisians I have asked do not acknowledge, that the structure that became famous for the name of the engineer whose involvement in the promotion and construction of the project was fundamental, Alexandre Gustave Eiffel, but which history has ignored its true parents. 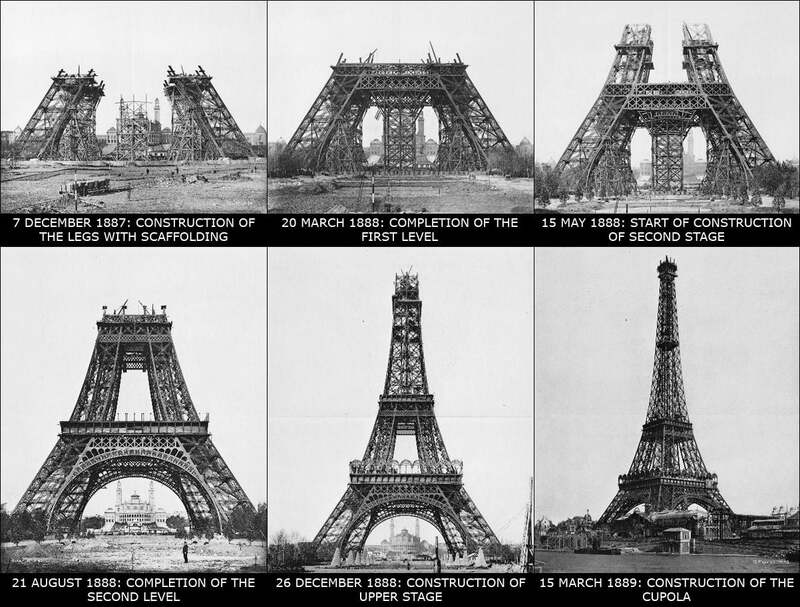 Fases en la construcción de la Torre Eiffel. It emerged in 1884, when the organizers of the Universal Exposition, planned for 1889, requested projects for a large metallic structure which could act as the entrance and the main draw of the event. Koechlin then recruited the help of another structural engineer, Émile Nouguier, to work the necessary maths to build the 300 meter tall pylon. Now, both Koechlin and Nouguier were at the time employed by the Compagnie des Établissements Eiffel, a reputed construction company specialized in bridges, and showed the project to the boss. At first, Monsieur Eiffel was not very impressed by the sketch, nonetheless, invited his engineers to keep working on the project. They asked for help to Stephen Sauvestre, head of the architecture department of the Eiffel firm and he took on the job of embellishing the design by adding some arches to the base, a crystal pavilion to the first level and other ornaments which, eventually, convinced Mr. Eiffel. He liked it so much, that he bought the patent that Koechlin, Nouguier and Sauvestre had obtained for their idea (the law at the time did not attach property of a design to the company where the designers were working). In this way, he secured the exclusive rights of the tower’s future operating profits. 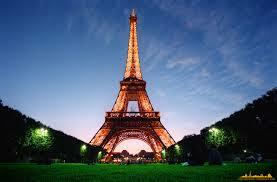 Eiffel was also instrumental in winning the tender and in raising the funds necessary for the construction. I have to recognize the great engineer his superb negotiating skills to convince the politicians. Up to the beginning of 1886, besides a presentation to the Civil Engineer’s Society, little work had been done and the future tower was nothing more than a drawing on paper. For the rest of bidders, it was clear that the new conditions kept precisely with the idea of Eiffel and his employees. Their suspicions were confirmed when in june of that year, the jury awarded the contract to Eiffel. 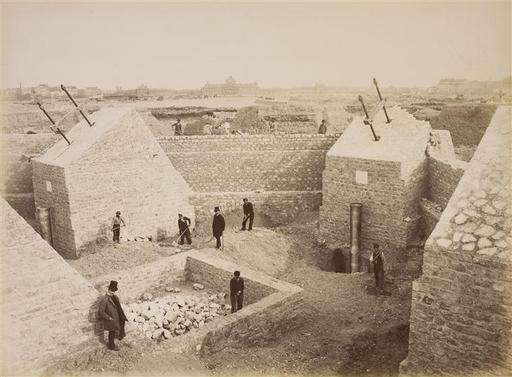 Construction began on January 28 1887, with the digging of the pits for the foundations. Each one of the four legs would point to one of the cardinal points and would be anchored to large concrete blocks, two meters deep in the legs East and South, and up to six meters in the North and West, closer to the Seine river. That first phase was finished on the 30 of June and it would be followed by the building of the metallic structure. The pieces were cast and pre-assembled in blocks at a factory purposely built in the outskirts of Paris. They arrived to the site secured with screws and then fixed with rivets. If one of the pieces did not fit as it should, it would be sent back to the factory to be re-cast. A total of 18,038 pieces would be put together with two million rivets, a job in which took part 50 engineers and draftsmen, 150 workers at the factory and 300 more on site. Only one of the would die during the works. The total cost added up to 7,799,401 gold Francs of 1889, one quarter of it public funds, the rest financed by shares sold by the promoter. 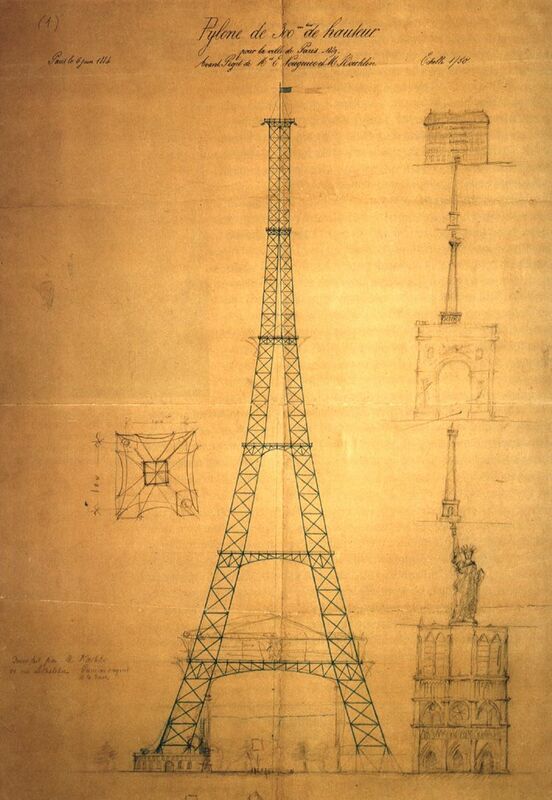 Eiffel was convinced that the tower would be a success, in addition to a symbol of modern engineering, of industry and of nineteenth-century science. Nomnetheless, from the very beginning of the construction, the tower would attract naysayers. Some simply didn’t think the tower could be built, but the majority of critics came from the arts. On 14 February 1887, only two weeks into the works, a group of writers, artists, sculptors, architects and other “passionate lovers of the beauty of Paris”, published in Le Temps a letter to the commissioner of the Universal Exposition. In it, the self-proclaimed Committee of the 300 (one for each meter of height) spoke in the name of ”French taste”, of the “threatened French history and arts”, and against the “useless and monstrous Eiffel Tower”. But they were not alone, even Eiffel himself thought that his mass would be dismantled after two decades, as it was written in the original contract. However, by the year of its supposed dismantling, 1909, the tower had become in something more than an ornament and very much likely it was saved by its suitability as a radio antenna, which already in World War I showed its value when from its summit, signals were broadcast to jam German signals, one of the keys of victory in the Battle of the Marne. The Eiffel Tower was finished just in time for the opening of the Universal Exposition on the 6 of May 1889, although the lifts took a couple of weeks longer to be open to the public. It was an immediate success and only in the six months of the exposition it was visited by 1,896,987 people. Eiffel recovered his investment in the first year. Since then, more than 250 million visitors have paid a ticket. One who could not climb it was Adolf Hitler, only because when he arrived to the recently conquered Paris, found out that the lift operators had cut the cables to avoid the humiliation. The Tour Eiffel is still there, proud, majestic, unscathed, and few dare to throw darts to the rigid iron of its body. Its final acceptance can be well served by the anecdote of author Guy de Maupassant, who supposedly had lunch everyday in one of the restaurants of the tower, because he said, it was the only place in Paris where he could eat unmolested, without looking at it. The tower made Eiffel world famous, although, curiously, the success of his beloved daughter has overshadow the rest of his work, including tens of bridges, railway stations and even the structure of the Statue of Liberty. On the other hand, I imagine that Monsieurs Koechlin, Nouguier and Sauvestre were financially well rewarded, but once in a while it is necessary to remind ourselves that it was them who gave us The Lady. ¡Longue vie le trio! ← Genghis Khan: el guerrero más venerado de la historia.